Due to Hurricane Michael, we have moved half a mile south to our new location at 1010 Thomas Drive. Thank you for all of the tremendous support and we look forward to seeing you at our new location! Want to do something different? 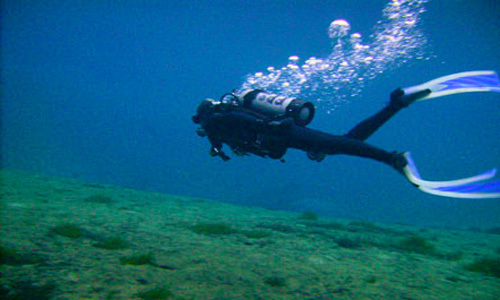 Get your Open Water Scuba Diving Certification in 3 days. Your certification is good for your lifetime. Classes are still small so you will not have a scheduling problem. We also offer refreshers if you are already certified and have not dove in a while. Give us a call and we will get you on our schedule. We were looking through the latest edition of Sport Diver magazine and guess what we found in the Getaways Section…just a great little article about the Dive Locker. It seems that during this summer a writer from Sport Diver took an excursion on one of our boats and was so impressed, he/she wrote a great little article about us and the great diving off Panama City Beach. The Florida Panhandle Shipwreck Trail Passport is your gateway to 12 spectacular shipwrecks in the Gulf of Mexico. Filled with fascinating marine life, each shipwreck has its own story to tell, from the world’s largest artificial reef, the aircract carrier USS Oriskany to the FAMI Tugboats. You may start your journey along the trail at any of the 12 shipwrecks; upon completion of each dive be sure to have your Passport validated with a signature and a stamp from your participating dive shop. Dive Locker makes Scuba Diving Magazine as one of the best dive operations! According to Scuba Diving Magazine Dive Locker is listed in the 2011 Readers Choice Top 100. 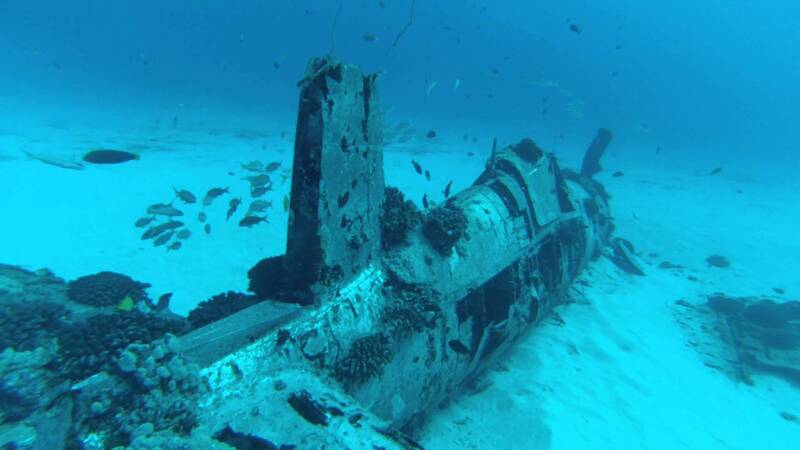 Have you ever dreamed of exploring the underwater world of sunken ships and Pirate’s treasure?  Sign up for a class at Dive Locker and add the new and exciting adventure of scuba diving to your next trip or cruise! Panama City Beach offers an abundance of excellent dive sites for both beginners and experienced divers. Within miles of the World’s Most Beautiful Beaches there are over 50 artifical reefs to explore, including ships, barges, bridge spans, and hundreds of natural limestone reefs, ranging in depths of 18 feet to 110 feet. the Jetties at St. Andrews State Park offer the best beach dives available along the Emerald Coast. Depth on the channel side of the West Jetty hits 70 feet in spots, and the rocks attract and hold a variety of sea life, including octopus, red snapper, redfish, grouper, and other tropical fish. If you time your dive to catch an incoming tide, it doesn’t get any better. Check out our videos. You’ll see that no matter what your experience level is, you can have your own adventure of a lifetime with the help of Dive Locker in Panama City Beach!